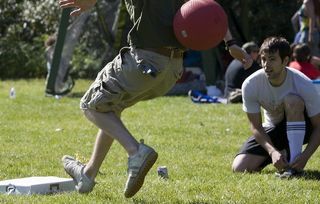 The kickball demons have been unleashed on our helpless, unsuspecting city and there is no stopping ’em now. 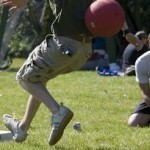 Can you feel the urge to kick the bejeesus out of a red, rubber ball growing, growling and gnawing at your insides? Will our city ever be the same again? 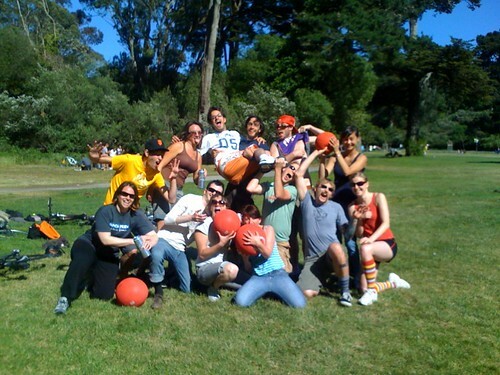 The San Francisco Kickball Coalition is more than happy to feed your addiction to the sweet sport of kickball with our second game this Sunday! 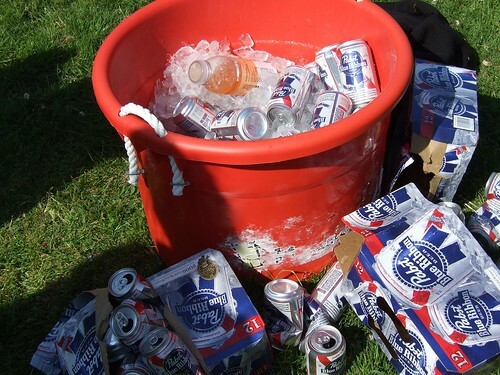 We are on a different field this week, so drag your friends out to Pioneer East Meadow in Golden Gate Park at 2 pm with snacks in tow (there should be at least one grill going) and a few bucks for beer. Come early to get some practice kicks in before the games begin and we will see you there! 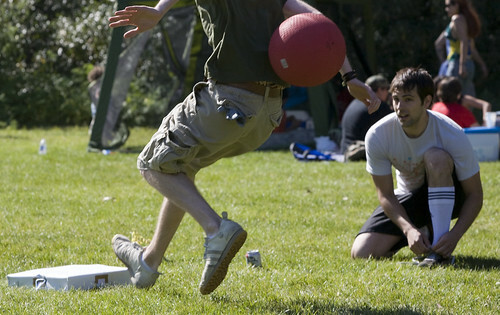 Let’s kick some balls! Sun, April 20 2008 at 2 p.m.
Pioneer East Meadow is on JFK Drive near Stow Lake (about 15th Ave if it intersected the park.). Google Maps has a few user-created pins of Pioneer East Meadow.